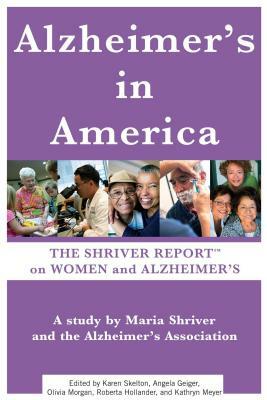 The Shriver Report: A Woman's Nation Takes on Alzheimer's will be the first comprehensive multi-disciplinary look at these questions at this transformational moment. The Report will digest the current trends in thinking about Alzheimer's, examine cutting-edge medical research, look at societal impacts, and include a groundbreaking and comprehensive national poll. It will feature original photography and personal essays by men and women - some from the public arena with names you know, some from everyday America - sharing their personal struggles with the disease as patients, caregivers and family members.